Did you know that a homeowner’s net worth is 36 times greater than that of a renters? Home ownership is like a forced savings account! 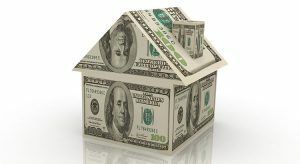 Every time you make a mortgage payment you contribute to your net worth….. every month that you pay your rent, you are contributing to your landlord’s! If you have been thinking that it may be time to take the leap in to home ownership, talk to your lender and Realtor today! Click on the link to find out more!